Propeller De-Ice and Ice Protection| Hartzell Propeller Inc.
NEW: Hartzell Service Letter HC-SL-30-308 introduces Hartzell Propeller Inc. FAA-PMA approval for propeller mounted ice protection system components. View the service letter here. Hartzell de-ice components have been designed, extensively tested and FAA-certified, and feature superior warranty coverage. The de-icer boots are covered for 18-month/2000 flight hours. 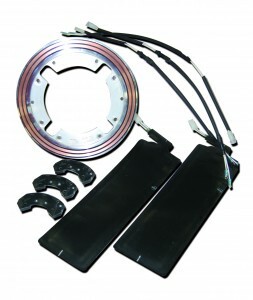 Other components of the de-ice kits feature a 12-month/1000 flight hour warranty. This warranty also covers labor to remove and replace defective parts. Best Product… Hartzell has over 80,000 aircraft propeller de-ice boots in service around the globe confirming our industry leading reliability and durability. Best Warranty… Our comprehensive 18 month/2000 hour warranty also covers labor for removal and installation. Best Price… We believe our de-icing components are priced very competitively and will match any quoted price of our competitors. View the Hartzell Ice Protection Manuals or use our Application Guide to help you find the right propeller system for your aircraft or engine/airframe combination. Hartzell is the world leader in propeller design and manufacture. We carry that same expertise into the production of durable ice protection components. In addition to component production, Hartzell also has developed the capability to engineer the entire propeller de-ice system for new applications in order to offer its OEM customers a one-stop source for complete propeller system design. Our in-house design, engineering and service resources provide the experience necessary to create a better product. Our Product Support team quickly addresses any questions or field issues. In-house development of installation and maintenance instructions provides for easy installation and continued airworthiness of your system. Whether you purchase direct from the factory or from one of our authorized distributors, you have the ability to purchase all of your Hartzell parts from a single source. PMA parts are available for select applications to meet more of your de-icing needs. And, because of our robust inventory, we offer same-day shipping for most parts.